If you are in the market for a new window treatment and looking for something new and exciting, Victor Shade can help. For a unique window solution for your home, check out top-down bottom-up treatments. These shades offer all the privacy of a traditional shade, while allowing you more control of privacy and light with an open view when you bring the top down. Top-down bottom-up shades can also be upgraded to Duolite®. 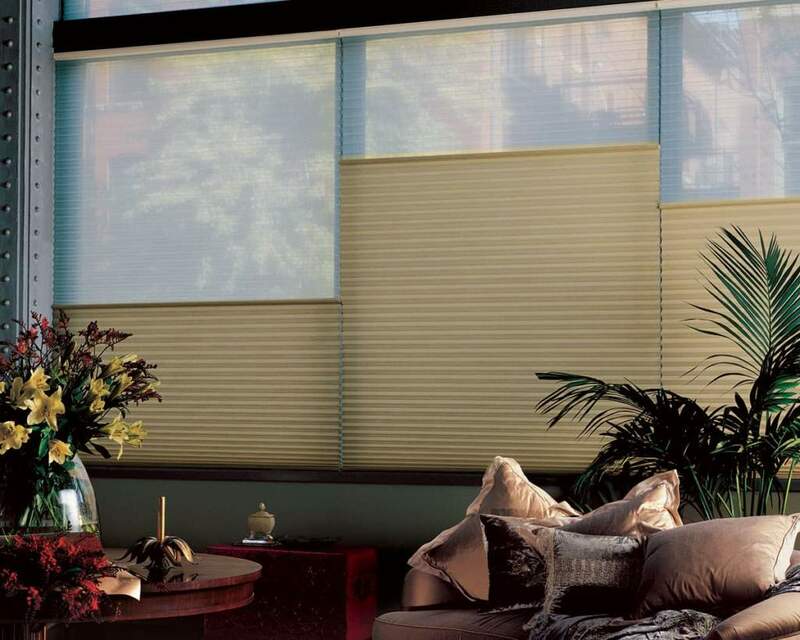 For honeycomb shades, this option is a sheer top with a semi-opaque or opaque bottom. So, when you bring the top down, you have a sheer shade! These window treatments are beautiful, versatile, and perfect for your home. You want natural light in your home without raising your window shades and exposing the interior of your home to prying eyes. Top-down bottom-up window treatments offer much greater control of privacy and light in your home than bottom-up treatments. Unlike traditional bottom-up window treatments, which only allow the shade to go up or down, top-down bottom-up shades are versatile and allow for a variety of configurations. For example, if you are enjoying breakfast but want natural light without having your windows entirely open, simply pull the top down. You will enjoy privacy with an opaque bottom and natural light with an open top. No matter if you need them in your living room, bedroom, or bathroom, top-down bottom-up are an excellent choice in gaining greater control of light and privacy in your home. Because they can be motorized and cordless, top-down bottom-up is a safe option for those homes with children and pets. With safer lift systems, children and pets will not get tangled up in cords that can lead to serious injury and even death. The sun streaming into your windows can wreak havoc on your furniture and floors, fading and damaging them. Top-down bottom-up window treatments can be adjusted as needed to keep the sun off of your furniture and floors, extending their beauty and life. Start Saving on Your Power Bill!